In our ongoing quest to protect our customers and the public at large, BendBroadband has instituted an industry standard known as “rate control.” The practice, which took effect Dec. 10, improves customer experience by ensuring email security and deliverability. To prevent the sending of spam emails from compromised bendbroadband.com and bendcable.com email addresses, BendBroadband now limits the number of messages sent from a single email address to 400 messages an hour. Rate control prevents automated spam activity on hacked email accounts. It also helps ensure that other Internet service providers will not “blacklist” @bendcable.com, @bendbroadband.com, and @chamberscable.com email addresses. Roughly 78 percent of email traffic is “junk email.” BendBroadband, along with other reputable ISPs, uses email-filtering software to stop most spam from reaching our customers’ inboxes. Based on advanced algorithms, the software recognizes email offering everything from Viagra to questionable stock market tips. 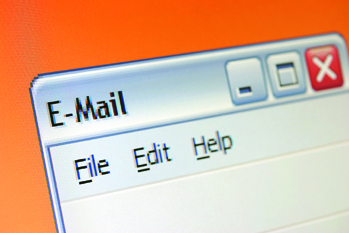 Spammers originally used their own email servers to send out junk mail by the millions. As email-filtering software became more sophisticated, it became easier to identify and block email traffic from known spam companies. To circumvent spam filters, spammers set up robot networks, or “botnets.” Because spam send from a legitimate address can sometimes make its way through a spam filter, cybercrooks will hack into everyday computer users’ inboxes and use their email addresses to send out millions of junk emails. To block spam sent from hacked email addresses, Internet Service Providers set up “blacklists” of all ISPs with compromised accounts. Unfortunately, when an ISP is blacklisted, its customers’ legitimate emails are treated as spam in cyberspace BendBroadband is instituting rate control to curb this “blacklisting” and thus ensure that its customers’ emails will get to their destinations. 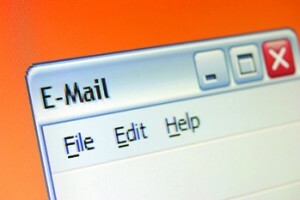 Very few BendBroadband customers send anywhere near the limit of 400 emails an hour. When our technical support staff sees elevated email activity from a single address, it usually indicates that a hacker has taken over the account and is using it to send thousands of emails an hour. If this policy disrupts your activities, we’ll do all we can to accommodate your needs. There are several safe, effective ways to get the job done. Please click on this link to read an in-depth FAQ.